On the third anniversary of his arrest, thirty NGOs call for the release of Abdulhadi Al-Khawaja. co-founder and former president of the Bahrain Centre for Human Rights. 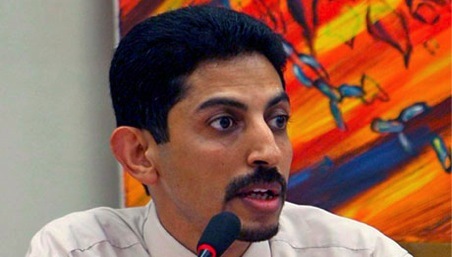 Abdulhadi Al-Khawaja was arrested 9 April 2011 and has been arbitrarily detained since. Despite his incarceration, Mr. Al-Khawaja and his colleagues continue to be the target of defamation campaigns. On the 27 February, 2014, a 12 minute video published on YouTube accused Abdulhadi Al-Khawaja, activist Zainab Al-Khawaja, BCHR President Nabeel Rajab and BCHR Acting President Maryam Al-Khawaja of inciting terrorism, “taking the country hostage” and branding them as racists. The video included footage that could have only been obtained from official authorities, including the use of an interview with a police officer which requires the approval of the Ministry of Interior. The video unjustly targets the four human rights defenders as a result of their legitimate activities and could be seen to incite violence against them given the accusations presented.